Healing from insomnia takes more than a just a pill; it requires a comprehensive approach that almost always involves lifestyle changes. Learn what helps insomnia for a better night's rest. Researchers in the Netherlands recently identified seven genes linked with insomnia. Tiredness symptoms during the day can be overcome by learning how to get a good night’s sleep. Almost all of us have experienced tiredness symptoms resulting from the occasional night of insomnia. Insomnia is the feeling of having difficulty falling or staying asleep, or having non-restful sleep. “Chronic insomnia” is defined as difficulty initiating or maintaining sleep, or experiencing non-restorative sleep, lasting for at least 1 month and causing significant daytime impairment. This is the most prevalent sleep disorder in the general population, and an estimated 10% to 30% of the population experiences chronic insomnia. Fatigue (but not necessarily daytime sleepiness) is the most consistent daytime symptom associated with insomnia. Despite having excessive tiredness symptoms or feeling fatigued, most insomniacs are unable to sleep during the day, even when they have an excellent opportunity to do so. It seems obvious that not getting enough sleep at night would be the main reason for the fatigue and tiredness symptoms experienced by insomniacs. However, poor sleep may not be the only reason for the fatigue in individuals with insomnia. When people with chronic insomnia are studied in the sleep lab, for instance, the severity of their sleep disturbances are not found to correlate with the severity of their fatigue. Other factors, such as depressive symptoms and the subjective feeling of poor sleep quality, were more related to fatigue in a group of chronic insomniacs that was actual sleep loss. Studies show that besides causing fatigue, chronic insomnia causes employment and relationship problems, decreases productivity, increases the chance of being ill, and decreases overall quality of life. It also disturbs your mood. 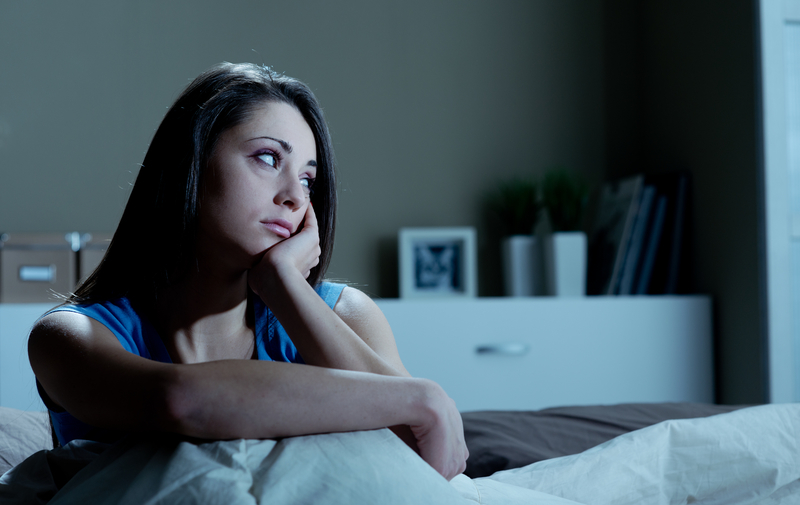 There is no doubt that insomnia frequently co-occurs with mood disorders like anxiety and depression. Studies have shown that around 40% of patients with depression have insomnia, for instance. Being anxious or having poor stress coping strategies are also linked to insomnia. What’s difficult for researchers to figure out is whether having insomnia causes one to be more susceptible to becoming depressed or anxious. A large, 11-year study found that people with chronic insomnia are at increased risk for developing anxiety, but not depression, while other large studies have found that having insomnia does increase the risk of becoming depressed. If you are suffering from insomnia and tiredness symptoms during the day, getting this sleep disorder under control is imperative for overcoming fatigue, depression, anxiety, and improving the quality of your life. Healing from insomnia takes more than a just a pill, it requires a comprehensive approach that almost always involves lifestyle changes. But thousands of individuals have done it, and so can you! If your insomnia causes you to experience episodes of depression, Natural Health Advisory’s comprehensive Depression Guide will give you an in-depth look at how insomnia is tied to depression and will teach you all you need to know about how to treat your depression and insomnia naturally. Fight Daytime Excessive Tiredness with These Top 3 Natural Remedies for Insomnia. Looking for Natural Remedies for Depression, Anxiety and Insomnia? Wondering How to Get to Sleep Fast? Here is the Least Expensive Solution Available! Maurizio Fava, MD, editor-in-chief of Mind, Mood and Memory, answers a common question about how to overcome insomnia. Q: I have had trouble falling asleep at night for many months. What helps insomnia? A: Insomnia is defined as difficulty falling asleep (for more than 30 minutes after bedtime) or difficulty staying asleep (waking up more than once or for long periods during the night) at least three times a week for a month or more. Chronic insomnia affects nearly 10 percent of Americans, according to the CDC, and research suggests that it increases risk for heart disease, diabetes, dementia, and mood disorders. Long-term sleep problems require a medical assessment, as they are often a symptom of underlying issues that can be treated, such as medical problems, psychiatric conditions, or the side effects of medications. Treatment for insomnia usually involves a type of psychotherapy called cognitive behavioral therapy, medication, or a combination of the two. Taking steps to improve your sleep hygiene can also help. Strategies include: establishing a sleep environment that is comfortable, dark, cool, and quiet; following a sleep routine of regular bedtime and wake up times even on weekends; limiting caffeine consumption and avoiding heavy meals and alcohol before bedtime; and pursuing relaxing activities, such as reading or taking a hot bath, close to bedtime. Getting plenty of exercise and managing stress by using relaxation techniques or by making an effort to deal with worries during the day can also help. Pigeon WR. Indian J Med Res. 2010 Feb;131:321-32. Review. PubMed PMID: 20308757. This article was originally published in December 2012 and has since been updated. alcohol, anxiety, anxiety and depression, anxiety and insomnia, caffeine, chronic insomnia, chronic insomnia causes, cognitive behavioral therapy, daytime sleepiness, dementia, depressed, depression, depression and insomnia, depression anxiety, depression studies, depressive symptoms, diabetes, difficulty staying asleep, excessive tiredness, exercise, fatigued, for depression, health, heart disease, how to get to sleep, how to get to sleep fast, how to overcome insomnia, insomnia 2, insomnia causes, long periods, medical problems, memory, mind mood and memory, mood, natural healing, natural health, natural health advisory, natural remedies, natural remedies for, natural remedies for depression, natural remedies for insomnia, poor sleep, poor sleep quality, relaxation techniques, remedies for depression, remedies for insomnia, restful sleep, side effects, sleep, sleep disorder, sleep disturbances, sleep hygiene, sleep lab, sleep problems, sleep quality, sleep routine, stress, studies show, suffering from insomnia, tiredness, treatment for insomnia, trouble falling asleep, unable to sleep.